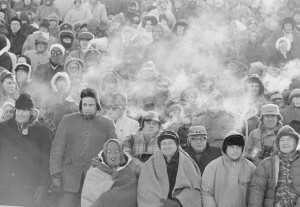 Fans watch the legendary Ice Bowl game between the Dallas Cowboys and Packers in Green Bay in 1967. Paris’ public transport body has released a special “politeness” manual to reduce uncouth behaviour in the metro, with a list of “commandments” on how to improve civility from helping clueless tourists to ensuring body odor is not wafted around the carriage. The online “manual on savoir-vivre for the modern traveller” includes an array of tips split into four categories: “helpfulness”, “courtesy”, “manners” and “politeness”, drawn up from among more than 2,000 suggestions from the general public. “It’s worth losing two minutes of your time for a good cause if only to hear the (foreign) passenger struggle to pronounce (the metro stops) ‘Trinité d’Estienne d’Orves’ or ‘La Motte Piquet-Grenelle’,” the accompanying text says. The “heads down tribe” are invited to drop their smart phones for one minute and discover how much more gratifying it is to help the aged. “Politeness,” meanwhile, is “not only using a handkerchief to wave someone off on the platform” – but keeping one’s germs to oneself. Once on the train, passengers are invited to not to “provoke a duel with the cavalier who just squashed your toes by mistake” and “like a king penguin, to keep one’s arms by one’s sides on very hot days and grab the bottom of the post, not the very top” to avoid spreading body odor. Users of public transport are invited to add their own observations on the campaign website. The Parisian campaign comes two months after Transport for London launched a week of “poetiquette” recitals at busy stations, using poetry to teach the capital’s commuters to think twice about dropping litter, obstructing doors and other anti-social behaviour that contributes to travel delays on the tube. Last year, France’s state-owned railway operator announced the creation of almost 3,000 “polite police” with tough new powers to eradicate bad manners on the nation’s intercity trains. The SNCF employees are tasked with tackling the exploding number of complaints about rude or unruly passengers that have rocketed by 25 per cent last year. SNCF boss Guillaume Pepy said a “line has been crossed” in “uncouth behaviour and delinquency” blighting the lives of many of the four million people who use his company’s trains everyday. 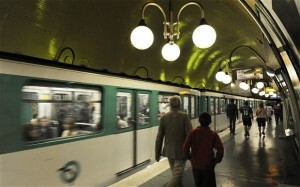 “Impolite behaviour generates a feeling of anxiety and discomfort,” said Mr Pepy, adding that it posed a “real obstacle” to weaning the French off their cars in favour of public transport. (Reuters) – An African flamingo that escaped a Wichita, Kansas, zoo eight years ago has been spotted living with a companion cavorting in the Gulf of Mexico, some 670 miles to the south. 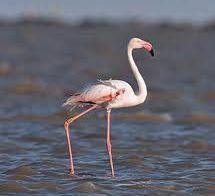 The five-foot tall bird, more white than pink and still wearing a leg band bearing its zoo-assigned number, 492, was seen last week in an inlet off Port Lavaca, Texas, by birder Neil Hayward, who described the sighting in a blog. The sighting didn’t surprise Scott Newland, curator of birds for the Sedgwick County Zoo in Wichita, which the bird departed in 2005. “Every year or so we get a call,” Newland said, noting that the African species is not a normal sighting for North American birders. The flamingo escaped in summer and was first sighted in Wisconsin, Newland said. Apparently seeking warm weather, the bird has spent most of his escape around Texas and Louisiana, Newland said, citing reports from bird-watchers. The bird, which had come to the zoo in 2002, escaped after keepers failed to clip his wings. The zoo has never attempted to retrieve the bird, which began its life in the wild and is naturally wary of being approached by people, Newland said. The flamingo is 18 years old and could live to 50, Newland said. While a little embarrassed that the flamingo flew the coop, Newland says he is happy to know that it is thriving in the wild after three years in the zoo.